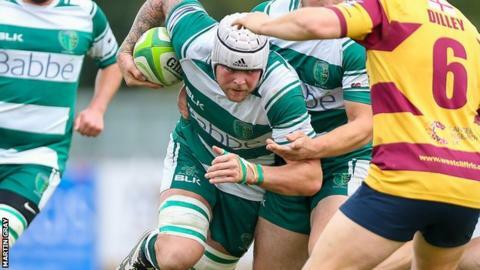 Guernsey will use their rest period wisely says head coach Jordan Reynolds after four wins in six games in National Three London. The club only have one game between now and 7 November when they go to East Grinstead a week on Saturday. "The week off is huge for us as rugby is such a physical game, as you go up the levels the contact area just gets bigger and bigger. "These guys need that rest period," Reynolds told BBC Radio Guernsey. "We'll still work high volume in the gym because you can't rest too much, but if we can have that break, when you have that mindset going into it, I think the players will pick it up a gear, which will be great." The island side are fifth in their division, one place below East Grinstead, but their next five matches are against teams who are also in the top seven. "We have a lot of hard games coming up now, we've played some teams that were definitely beatable and we've got some games now that are pretty tough," Reynolds added.